Bath gel that deeply moisturizes the skin, especially for dry and sensitive skins. The high nutritive and regenerative power of Aloe vera protects the skin and gives it greater elasticity and smoothness. It respects the pH of the skin. Highly moisturizing bath gel. Its formula enriched with Aloe Vera nourishes, repairs and provides extra softness. 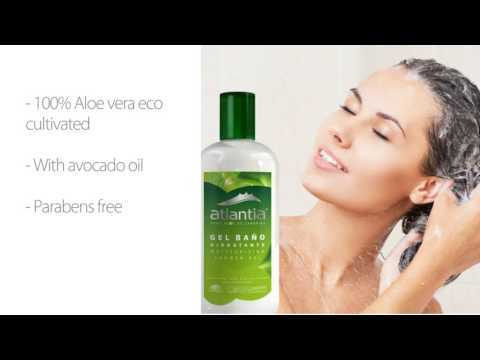 With avocado oil and decyl glucoside, it provides minerals, amino acids and vitamins. Moisturizing and regenerating action of the tissues. Canarian Aloe Vera: 100% eco cultivated. Decyl Glucoside: A tensio-active derived from glucose. A very gentle cleaner. Apply to moist skin and massage gently until it forms a lather. Rinse with plenty of water.